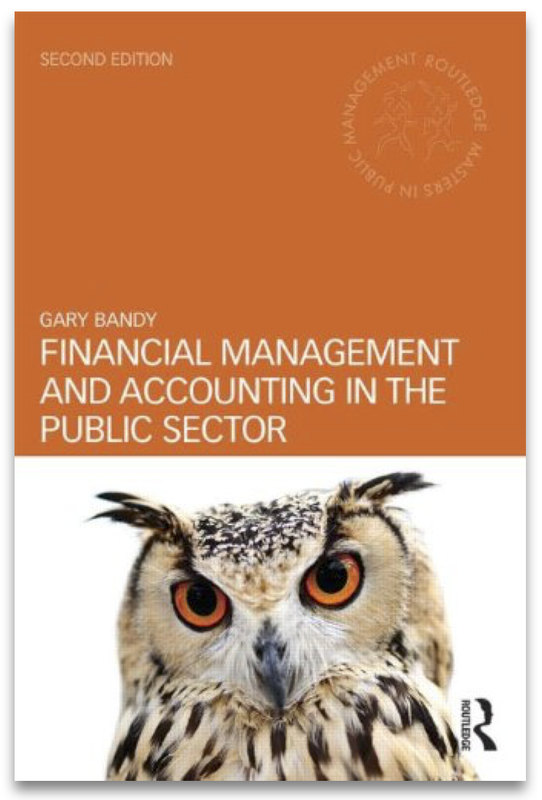 A blog about public financial management: the fine art of managing public money to deliver vital services to the public. 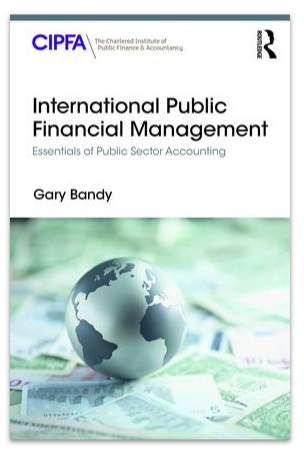 It involves budgeting, accounting, controlling, auditing, reporting, policy-making and decision-taking. Over the years I’ve attended several courses on negotiation skills but none of them have been as helpful as reading Getting to Yes by Roger Fisher and William Ury. Read on to find out why. What's on my mind, though, is a slightly different point. In a competitive market there has to be scope for losers as well as winners. We can see that because some businesses just don't get off the ground and because even successful companies can lose their market share (Nokia, for example). How can you have room for losers in an internal market without incurring waste? In particular, when the market is for public services upon which, say, vulnerable people rely, what happens if their provider is the equivalent of Nokia--once upon a time the best provider but now falling behind the performance of others? There's nothing the recipients can do: they don’t have true customer power because they don’t pay for the service (at least they don't pay the provider directly and have the option to take their money elsewhere) and the long term contract the provider has with the public authority means there isn't an immediate threat of competition to perk up their performance. I think this is because having incurred the transaction costs of procuring the contract the public authority will be reluctant to incur additional transaction costs in ending it early unless the performance is abysmal. I think what this points me towards is the importance of good contract management for the duration of a contract. Good contract management can represent the service users and also prevent the public authority from getting in to a position where it even has to think about terminating the contract and incurring all the costs that would involve. I think public authorities are also coming around to this view. Certainly I find myself more often talking with my clients about contract management than I used to. I suspect this reflects the maturity of the outsourcing market in two ways. First, public authorities and providers both understand the commercial issues relating to the contracts and are able to reach workable agreements much more readily than they used to. Second, public authorities who’ve reviewed their experience of contracts over the last, say, 10 years will often recognise that they have not felt in full and proper control of their contracts and that they ought to have invested in contract management skills from the outset. I think what this means is that if an organisation wants to use contracts, whether for an internal market or externally, it is important that they recognise that good contract management will be a significant transaction cost and they need to be willing to pay for it. Can a strategic partnership reduce the cost of policing? Last week I gave a short presentation to the joing national conference of the Police Authority Treasurers Society and the Directors of Finance of police forces. I have helped the police in Lincolnshire and West Midlands with the procurement of strategic partnerships but this talk was not about those projects. Instead I was commissioned to talk about the pros and cons of having a strategic partnership. I hope I achieved that. One treasurer said to me afterwards that is was "as balanced an exposition of the issues of outsourcing" as he'd heard. I guess that means I did what was asked of me. I've posted the slide presentation on Slideshare.net and they are embedded below. They give a flavour of what I spoke about but I like to think that you get more from a presentation when I'm presenting it than from looking at the slides in isolation. So if you want to know more about this subject please feel free to get in touch with me. I think the following is a thought-provoking piece from the Guardian's website by John Tizard . Local authorities—and other public sector bodies—do need to think about what it is they want in terms of service and then work out how to get it. Times change and a key aspect of public service is the frequency of politicians, national and local, making changes. In some ways outsourcers can be more flexible than in-house staff and in other ways less flexible. Perhaps now more than ever flexibility is needed in outsourcing contracts. There are ways of getting such flexibility, but to my mind it gets back to the issue that, despite 30 years of using private sector providers, there is a remarkable lack of commercial skill and knowledge within public sector organisations. Such skills are needed for two reasons. First, to be able to procure an outsourced provider that meets the organisations needs now and in the future and, second, to know when outsourcing is the wrong answer. Double dip recession, calls for all Whitehall departments to prepare further cuts, the Comprehensive Spending Review brought forward to 2013, demographic growth, government borrowing remaining high – the financial prospects for local authorities are bleak. Councils may have managed to balance their budgets for 2012-13 and for the remainder of the current spending review period (provided that they are not asked to find more savings), but are they ready for the next phase of austerity? Given the immediacy of the cuts following the spending review and financial settlement in 2010, I suppose it was not surprising that few local authorities reached for genuinely radical changes over the last two years. They did not rush to outsourcing if they had not already commenced a procurement process before the autumn 2010. It was a logical and rational position for local authorities to adopt. Traditional outsourcing arrangements take time to weave through complex and protracted procurement processes that cost large sums of money, consume senior officer time and rarely deliver immediate savings. Many of the savings that had been made by some earlier outsourcing of services such as back office or support services were no longer available, as councils themselves had become more efficient. During a period of uncertainty, it's simply imprudent to lock up significant tranches of a local authority funding within inflexible contracts. The truth is that evidence of the success of outsourcing has been mixed at best. Over the last few decades, local government has used outsourcing to the business sector for a number of reasons: to secure savings; to gain investment; to offer choice to users; to attract innovation and productivity improvements through competition; to address under-performance; and to transfer difficult management decisions outside the council. These reasons vary both from authority to authority and also sometimes within the same councils between different servcies. This apparent inconsistency is understandable and appropriate, as outsourcing should only be pursued when and where it will add value. These actions must be explained to the public. Outsourcing has not always been a success in adding public value, and those lessons need to be learned. Over two decades the scope of outsourcing and the services it involves has changed dramatically. In some ways, there has been a major move on from Compulsory Competitive Tendering (CCT) - but in others, regrettably, there hasn't. Faced with the stark prospect of having to make even deeper cuts in the future, are we likely to witness a significant expansion of outsourcing to private companies? It is worrying to note that some local authorities are returning to some of the worst elements of CCT, more concerned purely with driving costs down then about quality or the terms and conditions of public servants. This will undoubtedly lead to long-term problems. Thankfully, others are seeking strategic partnerships to both reduce costs and improve services, help manage demand for services, and to invest in wider social and economic objectives. Of course, these goals are not always compatible – especially when the overriding desire is to reduce spending. But attempting to reach them does require a new approach to partnership and collaboration between local authorities and the outsourcing industry. This requires constructive dialogue and a willingness by all parties to change their behaviours. Local authorities are right to want greater transparency and accountability from providers. They should always want good terms and conditions for people delivering public services. However, local authorities should also be considering a wider selection of responses to their financial and policy imperatives, other than purely outsourcing. There has to be a role for in house provision, a greater role for the voluntary and community sector, for employee and user co-operatives, for partnerships with other authorities and the wider public sector, and other roles for business including in-sourcing. The risk of blinkered thinking and lack of planning is that some councils will pursue a default and automatic outsourcing to the business sector believing it to be a panacea for their budget problems, or indeed for ideological reasons. Others will ignore the option for the exact opposite reasons. Local government has to change, and change dramatically – in what it does and how it secures the results required by local people, communities and businesses. It has to be more open and transparent. It needs to be more fleet of foot. Set against that context, the old model of outsourcing has little to offer to meet these challenges. My prediction is that, over the coming years, the traditional outsourcing model will be left behind – so will be some of the current outsourcers. Both providers and local authorities need to wake up to the new paradigm. They must reject simplistic options. In my previous post I mentioned the conference I attended last week on strategic partnering in the police service. One of the afternoon's speakers was Malcolm Burch, the chief executive of Lincolnshire Police Authority. His talk was about the specifics of the governance arrangements in connection with the procurement process they have undertaken but one thing he said has, I think, a general application. He referred to governance being a "contact sport". He was talking metaphorically, of course, and I think he meant contact sports like rugby rather than boxing or martial arts. The overall aim of governance, after all, is for the organisation to win not for one side to knock out the other. Anyway, Malcolm's point was that it's not possible for governance to be carried out in isolation from the projects and activity of an organisation. Governors (ie those charged with governance of an organisation) have to get involved, they have to have conversations with people and if there are differences of opinion they have to find ways to resolve them. It would be easier for governors to say to the executive, "get on with the project and when you've finished we'll scrutinise what you've done" but that approach is not helpful to the executive and runs the risk of the project failing. There's not much comfort for governors to observe a project has failed when they might have been able to prevent it, or at least mitigated the failure. It is tantamount to the old joke about an auditor being a person who hides in the hills until the battle is over and then bayonets the wounded. No-one needs governors like that. Managing public money is vitally important. Buy this book from Amazon or from the publisher, Routledge. Use the following links to buy my book: Amazon UK, Amazon US. "The new, 2nd edition enhances an already superb 1st edition."